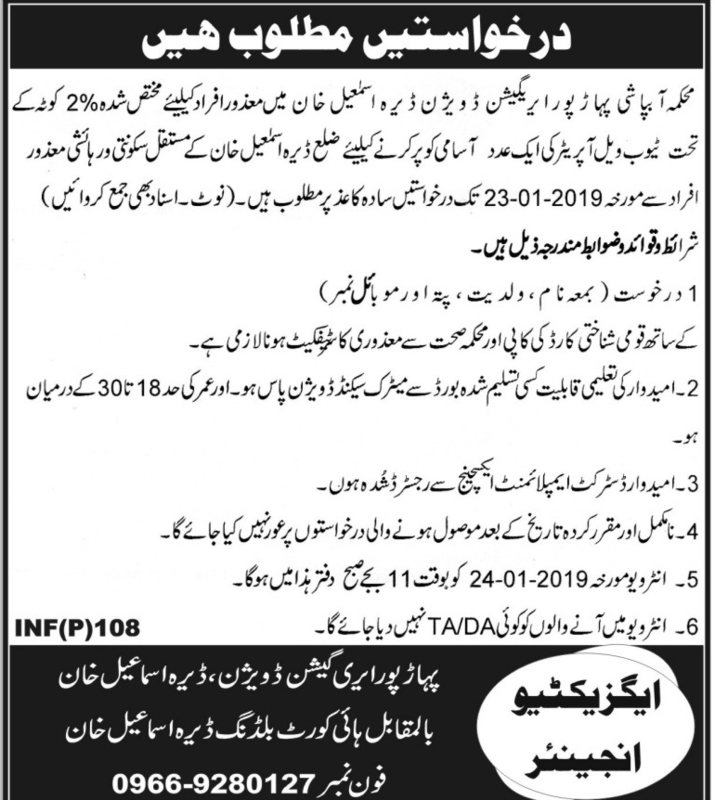 Qualification: Irrigation Department D I Khan Jobs For Tubewell Operator. Age Limit: Minimum 18 Years or Maximum 30 Years. Attractive Salary Package. Last Date for Submission of Application 23rd January 2019. Tubewell Operator jobs in Irrigation Department Dera Ismail Khan, in Pakistan published on Paperpk.com from newspaper on January 08,2019. Job seekers who are already working as can also apply for post of Tubewell Operator.